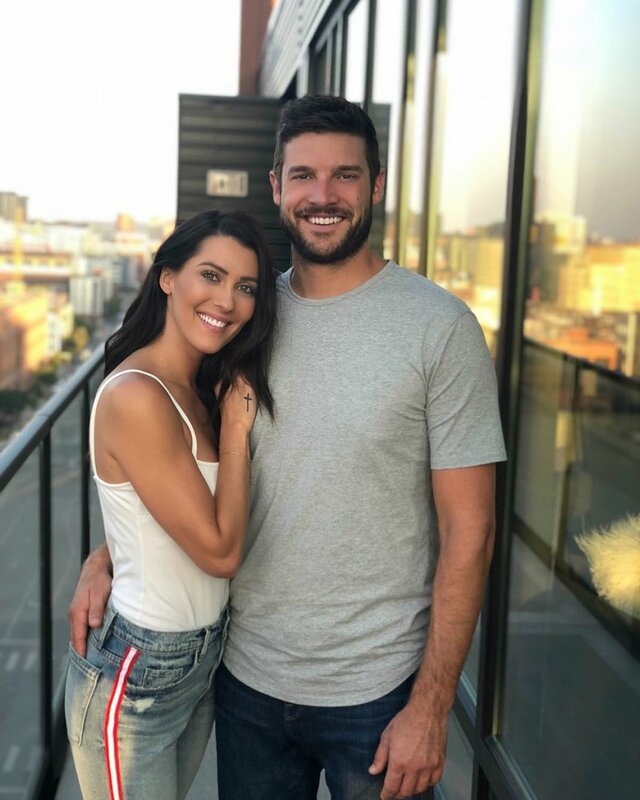 Becca Kufrin and fiance Garrett Yrigoyen are opening up about ABC's decision to cast The Bachelorette star's former suitor, Colton Underwood, as the new The Bachelor star. The Bachelorette couple previously gushed about how her third-place finisher, Jason Tartick, would make an excellent Season 23 Bachelor, but they are apparently very happy with Colton being offered the opportunity. Hours after the September 4 announcement of Colton's The Bachelor participation, Becca told Us Weekly, "I don't think we were super surprised." "I always assumed one of the top four guys from my season would become the next Bachelor," she continued. Colton placed fourth on The Bachelorette's fourteenth season, while Blake Horstmann finished as Becca's runner-up. "Colton had a big presence on my season and obviously Bachelor in Paradise," Becca told Us. "Garrett is still in touch with him and friends with him. We support him. I've said this really about all of the guys: I want them to genuinely find love and be happy. So if he is all in and completely ready to do it again, we will support him. We're excited for him." Garrett also had nothing but kind words to say about the 26-year-old Cystic Fibrosis charity founder and former professional football player. "He's a good guy. He's kind-hearted. He articulates very well. He's well spoken. He has a lot going for him," Garrett explained. "I think he'll be very respectful to all of the women and hopefully he finds his person." The medical sales representative from Reno, NV, told the magazine he could see Colton falling for a "kind-hearted" woman who is also independent. "He needs somebody as loving as he is," Garrett said. Becca and Garrett, who got engaged during The Bachelorette's August finale, are apparently looking forward to watching Colton find love on The Bachelor. Becca even gave Colton some advice. "Remember, Listerine strips will be your best friend," Becca joked. "It's different being one of many in the house versus being the lead. I think the main thing is to realize he's going to go on so many different dates, meet so many different types of women from all around the country so to just stay open to each and every person and to really try and stay as present as possible because it goes by so fast." Becca added, "Even with the lack of sleep and all of the traveling, it flies by. If he can just embrace each and every single date and moment and conversation with the girls then that will make it the most worthwhile." The Bachelor will return with its 23rd season in January 2019.